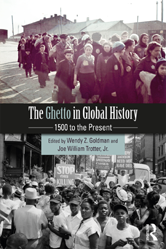 The Ghetto in Global History explores the stubborn tenacity of 'the ghetto' over time. As a concept, policy, and experience, the ghetto has served to maintain social, religious, and racial hierarchies over the past five centuries. Transnational in scope, this book allows readers to draw thought-provoking comparisons across time and space among ghettos that are not usually studied alongside one another. Introduction: The ghetto made and remade Wendy Z. Goldman and Joe William Trotter, Jr. Conclusion: Common themes and new directions Wendy Z. Goldman and Joe William Trotter, Jr.